Bump up the volume in your hair using Big Happie Hair Bumpits. Our volumizing plastic hair inserts take your hair from flat to fabulous in seconds without the use of heavy creams or gels. Simply place the piece underneath hair at the crown of your head to instantly transform your look. 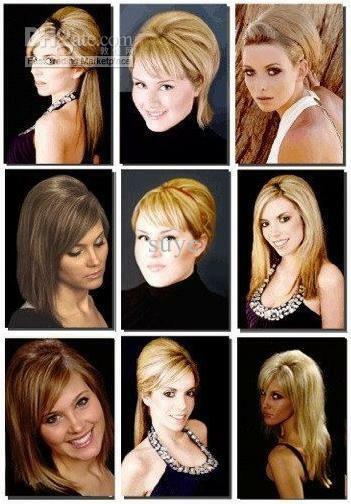 Choose Light Blonde, Medium (Warm) Blonde, Brunette or Black. Rigid design creates volume that won`t fall. 2 rows of self-gripping teeth at top and bottom for added stability. Lightweight and comfortable - you`ll forget it`s there. Washes clean with soap and water - use again and again. Use individually or together for a variety of looks. HAPPIE HAIR FROM FLAT TO FABULOUS HAIR VOLUMIZING INSERTS "BUMP IT UP"